December 05, 2012 – Unicorp today announced UniLIMS version 7.3 has achieved Oracle Exadata Optimized status through Oracle PartnerNetwork (OPN), demonstrating that UniLIMS, 7.3 has been tested and tuned with Oracle Exadata Database Machine to deliver speed, scalability and reliability to customers. Additionally, UniLIMS, 7.3 has been tested and supports Oracle Linux, and Oracle VM 3. Unicorp is an engineering company specialized in LIMS development and implementation. Unicorp is a Gold level member in Oracle PartnerNetwork. Oracle Exadata Optimized is part of the Oracle Exastack Optimized program which allows partners, such as Unicorp, to leverage OPN enablement resources and dedicated lab environments to help develop, test and tune their applications on Oracle Exadata Database Machine, Oracle Exalogic Elastic Cloud, and Oracle SuperCluster engineered systems. 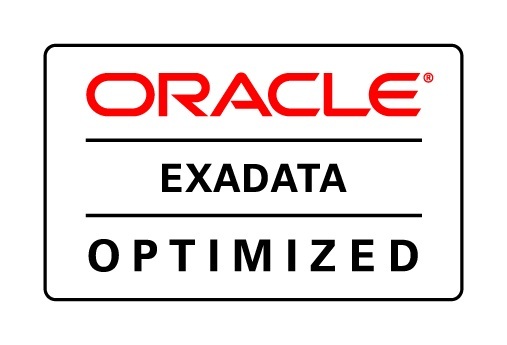 Oracle Exadata delivers extreme performance and is the ideal database platform for OLTP applications, data warehouses as well as the varied and unpredictable workloads of cloud computing. It is a complete package of servers, storage, networking, and software that is massively scalable, secure and redundant. Oracle Linux brings the latest Linux innovations to market, offering extreme performance, advanced scalability, and reliability for enterprise applications, and enabling lower costs. Oracle VM 3, the latest release of Oracle's x86 server virtualization solutions, is suitable for datacenter workloads, enabling companies to move beyond server consolidation and to focus on accelerating and simplifying application deployment and management. By achieving Oracle Exadata Optimized status, Oracle recognizes Unicorp for developing, testing and tuning UniLIMS, 7.3 on Oracle Exadata Database Machine . Customers can be confident when selecting UniLIMS that is has been tested and tuned to achieve optimal performance, scalability and reliability. The Oracle Exastack program helps enable Independent Software Vendors (ISVs) and other members of Oracle PartnerNetwork (OPN) to rapidly build and deliver faster, more reliable applications. Leveraging the Oracle Exastack program, qualifying OPN members have access to Oracle performance experts and dedicated labs for testing and tuning their applications on Oracle Exadata Database Machine, Oracle Exalogic Elastic Cloud and Oracle SuperCluster. With an Oracle Exastack Optimized status, partners will receive access to corresponding Oracle branding, logos and related benefits to effectively differentiate their offerings. Customers can be confident when selecting Oracle Exastack Optimized applications that they are supported, and have been tested and tuned with the goal to achieve optimal performance, scalability and reliability. Also part of the program, Oracle Exastack Ready is dedicated to helping ISVs run their solutions on the latest major release of Oracle Exadata Database Machine, Oracle Exalogic Elastic Cloud, Oracle SuperCluster and their component products, including Oracle Database, Oracle WebLogic Server, Oracle Solaris, Oracle Linux and Oracle VM. These products provide partners with a lower cost and high performance infrastructure for database and application workloads across on-premise and cloud based environments. To find out more, visit http://www.oracle.com/partners/goto/exastack.